It’s small, plastic and fits in your wallet but the power of a prepaid gift card is far more significant than its monetary value. No longer regarded as just an alternative to cash, a gift card unlocks a bundle of benefits that outweigh the face value of the card and are proven to be remembered. Recognised as a simple solution to rewarding employees, gift cards are now the most popular corporate incentive, providing the appeal of cash while delivering superior benefits. As an incentive gift cards can be a powerful force in reducing staff turnover, reducing sick days and encouraging staff to be more productive and reach sales targets. Why choose gift cards for your corporate incentives or rewards program? Gift cards are motivators with wide appeal. The attraction of a gift card as a reward can influence employee behaviour such as reaching sales goals or maintaining safety in the work place. They give the employee the right to choose their own reward. You let them have the freedom to go shopping for their reward when it suits them. Gift cards are better than cash – Up to 70 per cent of consumer respondents – givers and receivers – believe that gift cards are better than cash. Gift cards offer choice – 83 per cent indicated that the best feature of gift cards was the choice that they offer. Gift cards are suitable for anyone – 73 per cent agreed that gift cards were the best option for any recipient. Gift cards are convenient 76 per cent gave gift cards because they were a convenient choice. Gift cards are appreciated by employees Employees are pleased to receive a gift card as recipients can buy what they want. Gift cards are a reminder of the giver and are remembered longer than cash awards – For consumers or employees, gift cards are remembered as a personal reward every time they are used, and branded cards are a continuing positive reminder of the giver – employer or business. How can gift cards be used to create interest in staff incentive programs? Results from a 2017 research study by the US-based Incentive Gift Card Council and the Incentive Research Foundation show the majority of US businesses are increasingly using gift cards as a reward tool for multiple groups and that investment in gift card rewards is both significant and growing. The study found that gift cards have become an important option in incentive programs and are becoming a form of branded currency. Recipients report that merchandise and gift cards are remembered longer than cash awards. Corporate Prepaid Gift Cards offer a variety of generic Mastercard, Visa and eftpos cards as well as cards branded with your design for employee incentive programs and consumer promotions. They offer the ability to brand your own card with orders up to 200 cards, which can be delivered within 10 business days. 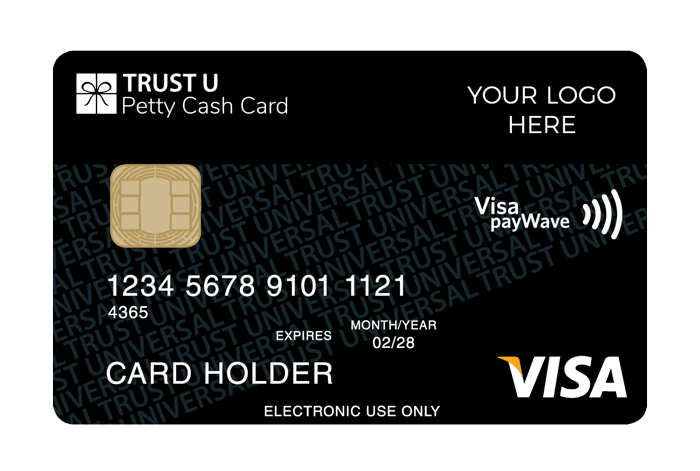 Cards can be placed in beautifully presented card wallets, which include details on how to use your card, check the balance and transactions online. For more information, contact corporateprepaidgiftcards.com.au on 1300 128 219, or email info@corporateprepaidgiftcards.com.au.